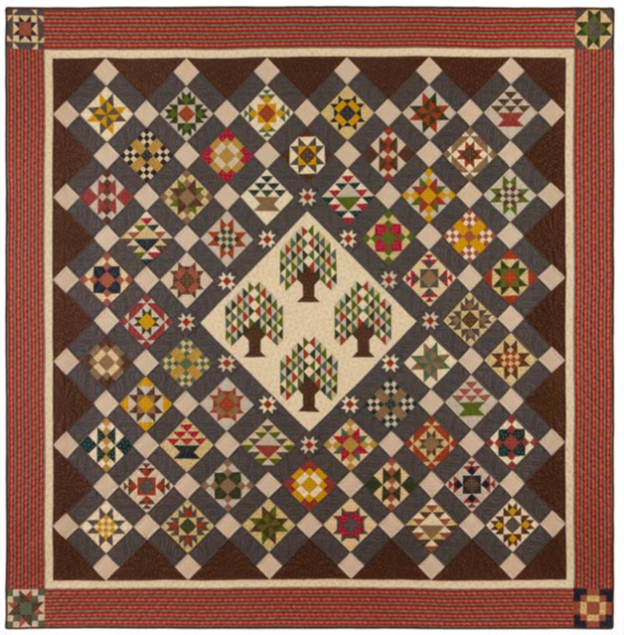 Bristle Creek Farmhouse BOM Quilt! Programs - Most Include Backing! 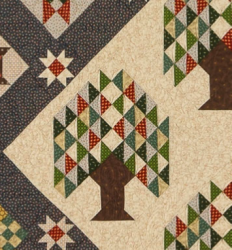 > Bristle Creek Farmhouse BOM Quilt! 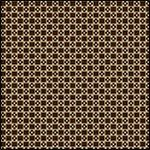 Finished Size - Queen - 95" x 95"
Finished Size - King - 110" x 110" up to 114" x 114" (Includes extra borders - Exclusive to Fabric Essentials!) - OUT OF STOCK - CALL IF YOU NEED THIS SIZE! 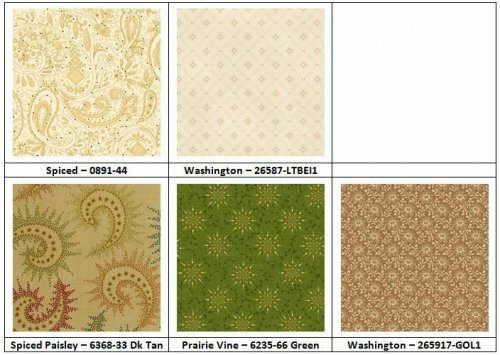 Quilts and fabrics are inspired by many things. 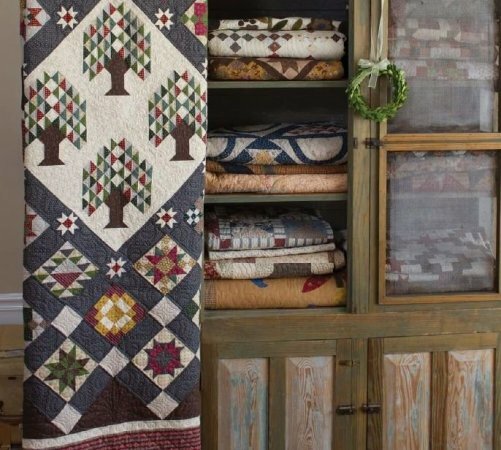 While on a quilting retreat near Jacksonville, Florida, Paula Barnes and Mary Ellen Robison discovered a cute shop, located in an old house in downtown Macclenny. The owner and her brother filled the shop with antiques, primitive décor and made-to-order primitive furniture. 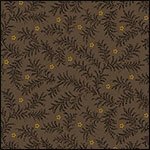 This project includes the pattern, a Boo-Boo bundle, and all fabrics for the top, including coordinating backing and binding. Please note that if you choose the Complete Kit option, you will receive the kit cut as a BOM project. We mention this because some stores just cut hunks of fabric. With Fabric Essentials, you will receive all the goodies you have come to expect with our programs - a Boo-Boo Bundle of extra fabric, the Star Singles triangle paper in multiple sizes, backing and binding! P.S. We just found out that many stores do not include binding in their BOM programs. It pays to ask questions so you know exactly what you are getting! * Approximately 21 yards in the top alone! * Extra long LOF (length of fabric) cut of outer Border fabric so you will have no seams in your striped border! Backing is included with your program! * Approximately 25 yards in the top alone! Backing is included with your King size program! 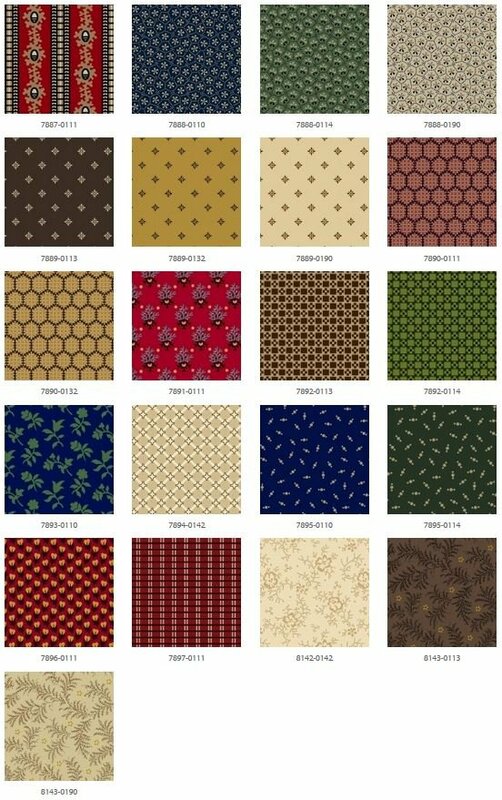 Any of the fabrics used in the top of the quilt can be used for the backing. 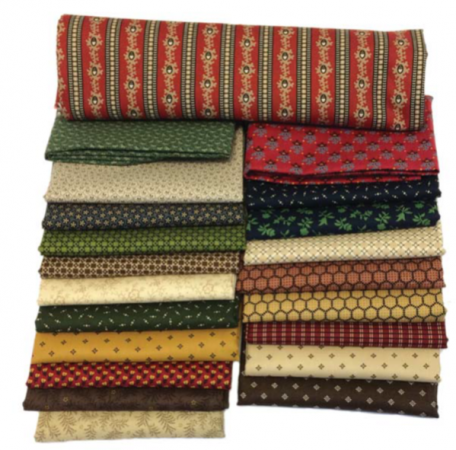 We will allow an extra 6" all the way around and will cut your backing into three equal pieces of 3 1/2 Yds each to make it easier for you to work with the fabric. 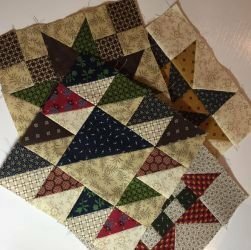 Month 1 - Block Assembly - You will receive your Boo-Boo bundle of Fat 8ths, your Star Singles triangle paper in three sizes, and your first package of fabrics and patterns to make multiple blocks.